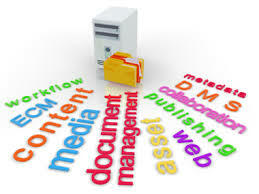 Documents contain invaluable information that drive business processes. We harness this information to make those processes more efficient and cost effective. AccessAbility Services, Inc. helps regional companies meet cost and performance challenges head on. We provide in-house solutions through product sales and outsourced solutions through our multitude of services. Our experience and expertise enables us to continually survey the marketplace to bring the most comprehensive, reliable, and value-priced hardware and software components to our clients. AccessAbility Services Partners with InStream to Add Solutions and Services. AccessAbility Services Teams Up with Nashville-based InStream LLC AccessAbility Services will gain use of more content management expertise, products, and services to offer as it partners InStream LLC. Based in Nashville and with offices in Knoxville TN and Irvine CA, InStream delivers enterprise content management (ECM) solutions and business process outsourcing (BPO) services for customers nationwide. E-Forms - Eliminate Work...Eliminate Mistakes...Eliminate Cost. Business users can quickly create online forms. Complement Your Current Payroll System with Mobile Timesheets. We strive to maintain a positive customer relationship. Each client situation is analyzed personally to ensure they receive the most efficient and cost-effective service from us. "....Mark and his team know our business and provide cost saving, common sense technical solutions which will bring value to our company. I appreciate not only their professional expertise but also the understanding of our return on investment (ROI) needs. I would recommend them to anyone who needs professional assistance with any document imaging or workflow project." © 2015 AccessAbility Services, Inc.